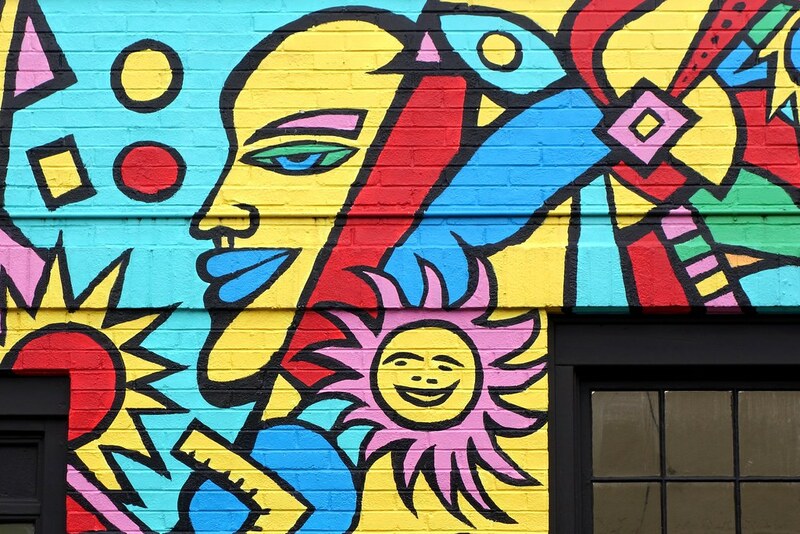 One of the many murals to be found along the streets of Portland, Oregon. This photo was captured during one of my visits there about five years ago. 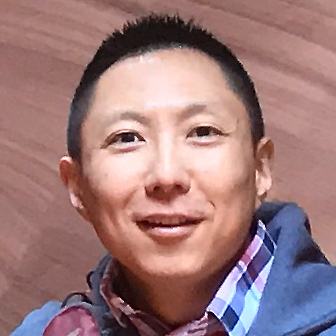 Just how do you propose we change the world? 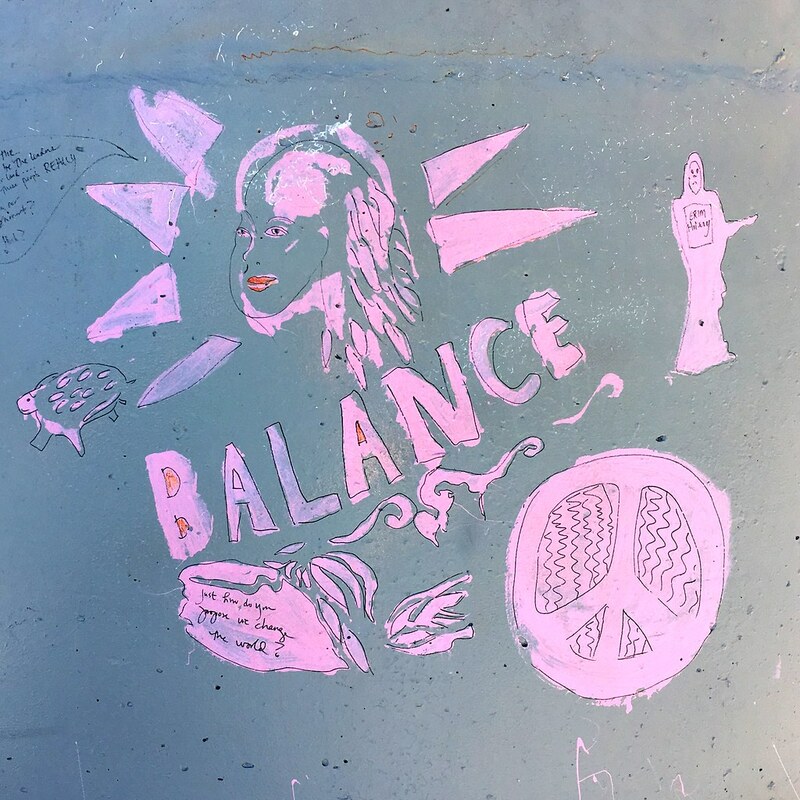 Some thought-provoking art found on a wall — or maybe on a pillar supporting a freeway bridge? — in Portland back in 2016. 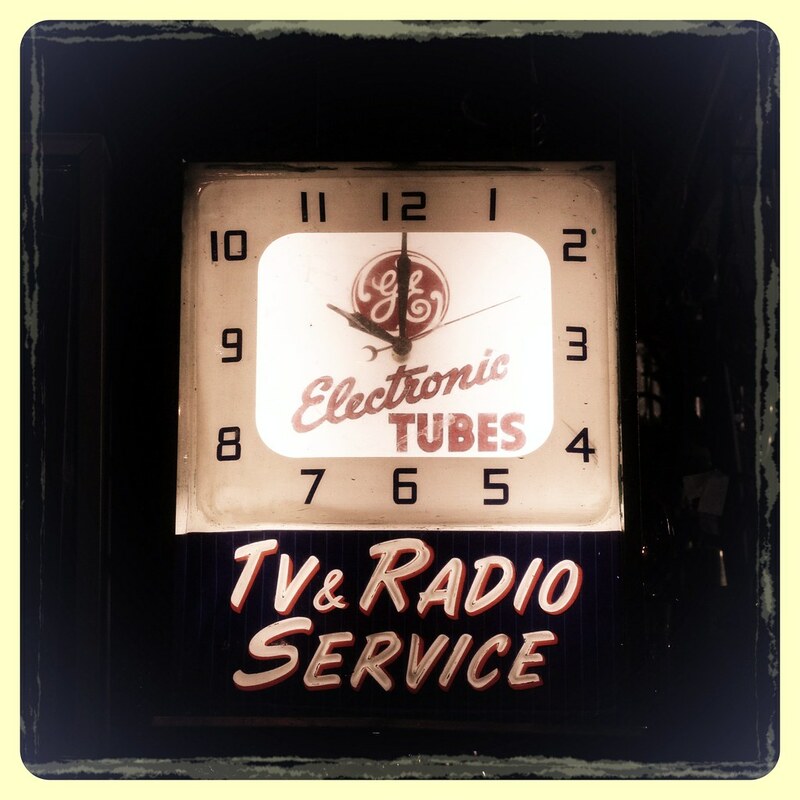 A cool old-school sign and clock from Portland in February 2013. 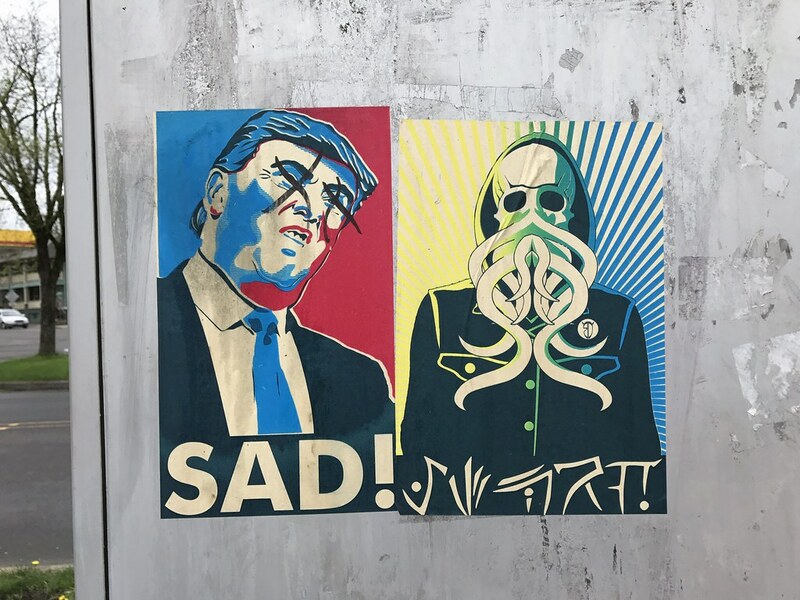 Some … uh … strong political sentiments spotted in Portland back in April 2017. 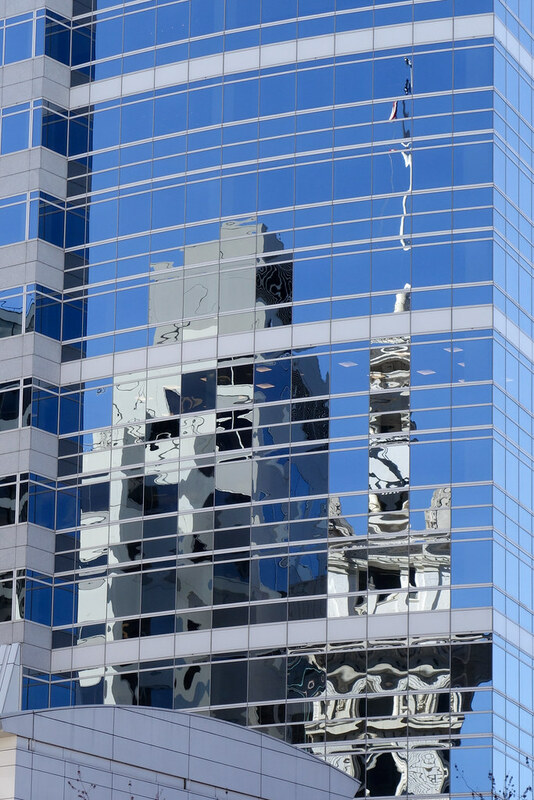 An imperfect reflection of some buildings in downtown Portland, Oregon, seen back in March 2015. 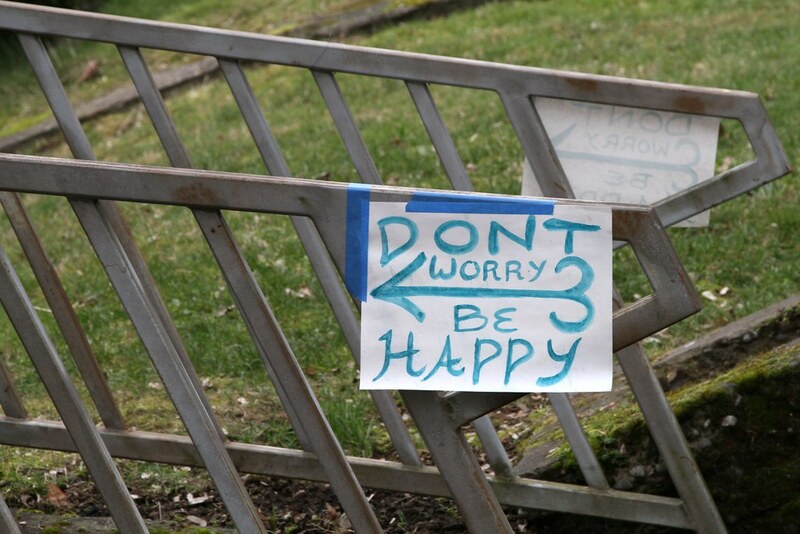 A perfectly positive message spotted outside a building in Portland, Oregon, back in February 2013. 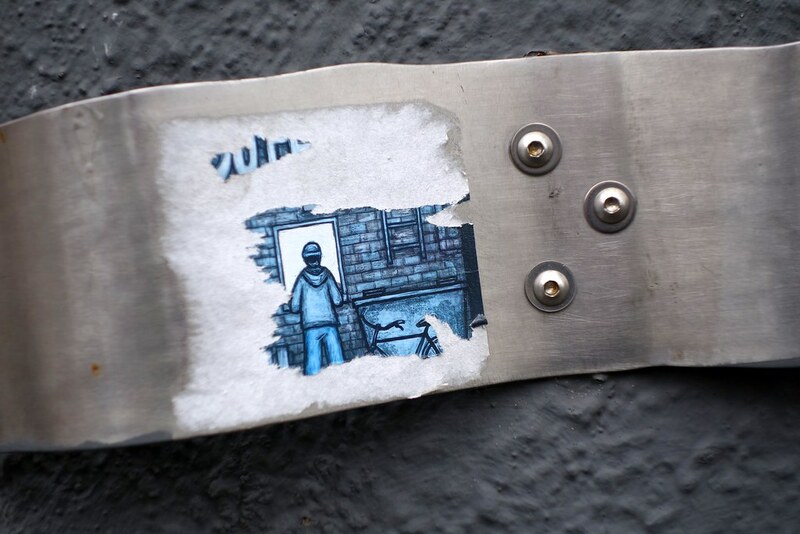 The remnants of a very detailed piece of sticker art spotted in Portland, Oregon, back on March 2015. This fantastic mural just off N.E. 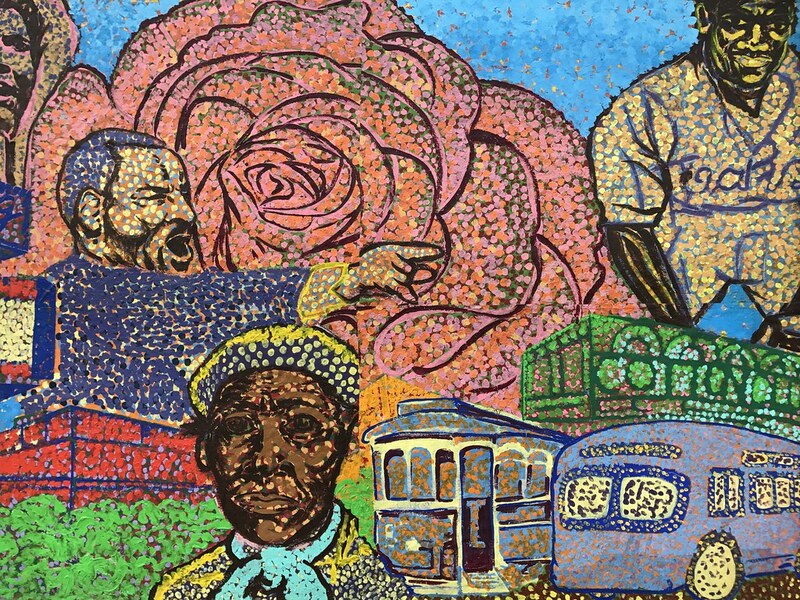 Alberta Street in Portland, Oregon, depicts some important figure in African American history. Snapped on my visit there in April 2016. 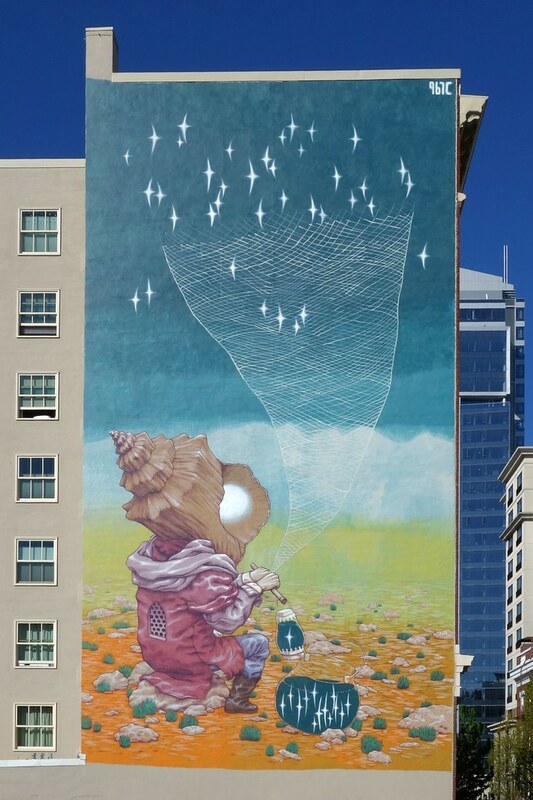 This huge mural adorns the side of a building in downtown Portland, Oregon. Spotted back in April 2016. 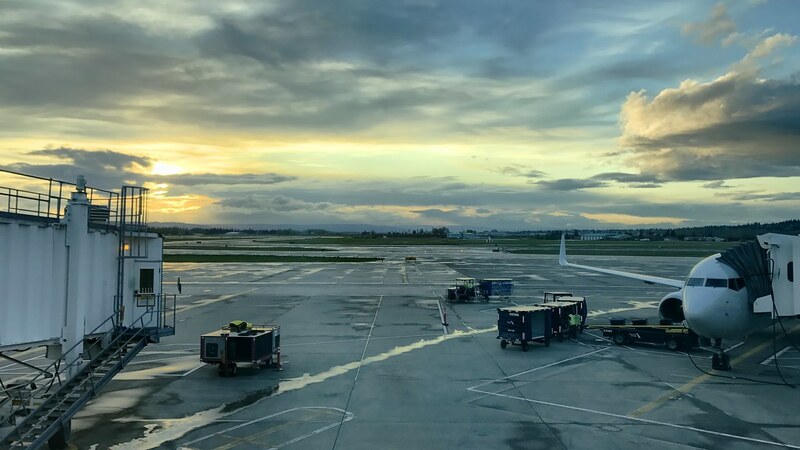 The sun’s about to set at Portland International Airport (PDX). Captured about a year ago.